Someday I'll Sleep Autism Blogs: A Giant Pregnancy Test Giveaway! I've been meaning to host this giveaway for weeks now (about seven weeks actually! ), but I'm finally getting around to posting it and there's a new way to enter! Use the Rafflecopter Gadget below to enter (instead of entering in the comments section) and I'll use Rafflecopter to pick a winner on Friday! The winner will take home 1 Clearblue Easy Digital Pregnancy Test, 60 Wondfo Pregnancy Tests and 5 Wondfo Ovulation (LH) Tests! Just follow the instructions in the gadget below to add up the various entries that are available! Edited to add: It took me a little while to realize I checked a box making the blog entry mandatory initially! I just went back and unchecked it so you can all enter now without that silly requirement! What do we do if we don't have a blog? I just fixed it LouLou! You should be able to enter now! I think are going to stop not trying in June, or July. I'm just as crazy as you are about finding out if I'm pregnant. These would be great to have, just to know whether there is even a remote possibility. Nice! I may not need these now, but testaholic that I am I'm sure I will sooner rather than later lol. Do past comments count? Can leaving a comment on this post count? Don't really need the pg tests (well at least not 61 of them; I've got one somewhere that I don't think is expired) but I'll take the ovulation ones. If I win, I'll be happy to give someone else the pg ones. If I thought I had to get worried about getting pregnant, I would totally enter! Commenting on this one would count! Any comments from the giveaway on (on any posts, even old posts!) would mean you could click on that giveaway! I was trying to come up with an easy option anyone could do! 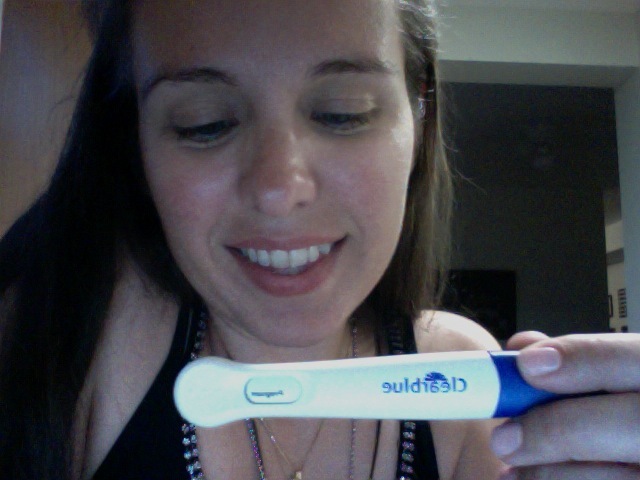 I love pregnancy tests! I'm breastfeeding now so I take one every so often just to see, we're hoping for another pregnancy towards the end of summer. Great giveaway! Entered. I can always use more tests! This would be awesome to win! Thanks for the giveaway! we were just thinking about trying for our second! Oh, Zachary. You had me rolling on the floor. I'd love to win these. Thanks! The wedding isn't till June.....but why not?